The story is ending, and the process to close up shop began in early October. Telltale Games is going through assignment proceedings, a process similar to bankruptcy, but designed to move quickly and settle the company's affairs. The writing has been on the wall for some time, but a company by the name of Sherwood Partners is expected to handle the process of winding Telltale Games down completely. 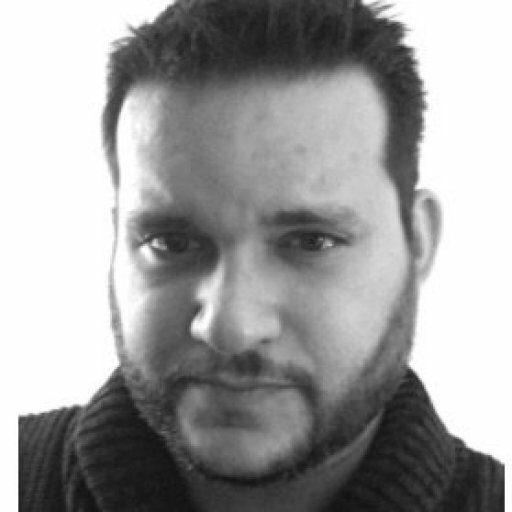 Sherwood has initiated contact with anyone who might have a claim on Telltale's assets. GameDaily spoke on the phone with Sherwood Partners co-founder Martin Pichinson. During the call, he confirmed that Sherwood will be handling Telltale’s liquidation. Assignment is a different mechanism for closing a company than bankruptcy. "A company can go out of business without going bankrupt," says attorney and Odin Law & Media founder Brandon Huffman. "All that means is that they were able to find someone to give them enough money for assets to pay any creditors or they had the money on hand." Assignment takes a different path than bankruptcy. Creditors were likely been looped in prior to completing the arrangement with Sherwood Partners. "As you can probably tell, Assignment for the benefit of creditors" (ABCs) in California are not a court-based process," says attorney Richard Heog of Hoeg Law. "Because of that you can think of them in a similar manner to arbitration—rather than trial—as a way for the parties to streamline the process. The difficulty is that the creditors are not limited in the same way they are when a company formally declares bankruptcy, and further such an assignment—like a bankruptcy—will typically trigger a default under the company’s commercial contracts. 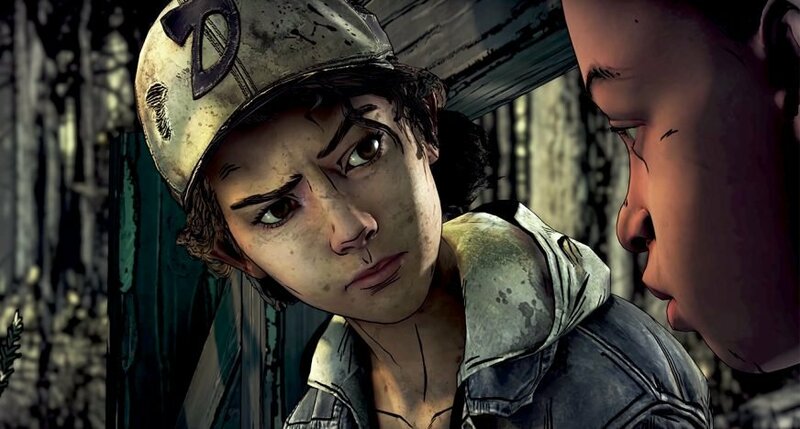 So, in general, Telltale would need to have consulted with their creditors and had them agree to this course of action before Telltale undertook it—if they are getting good counsel on this." Additionally, a former employee tells GameDaily that post-employment health insurance—called COBRA—mandated by law will end for all former eligible Telltale staff on November 30, 2018. COBRA insurance, which the former employees are required to pay for—but employers are required to provide—typically lasts for 18 months. When companies liquidate, their health insurance agreeements typically end. In this case it leaves potentially hundreds of people without even a way to pay for their own healthcare after having company-supported coverage taken away when Telltale laid off 250 staff and contractors in September 2018. Employees were not given severance, leaving them with only a few days of health insurance before they'd have to begin paying out of pocket to retain coverage. 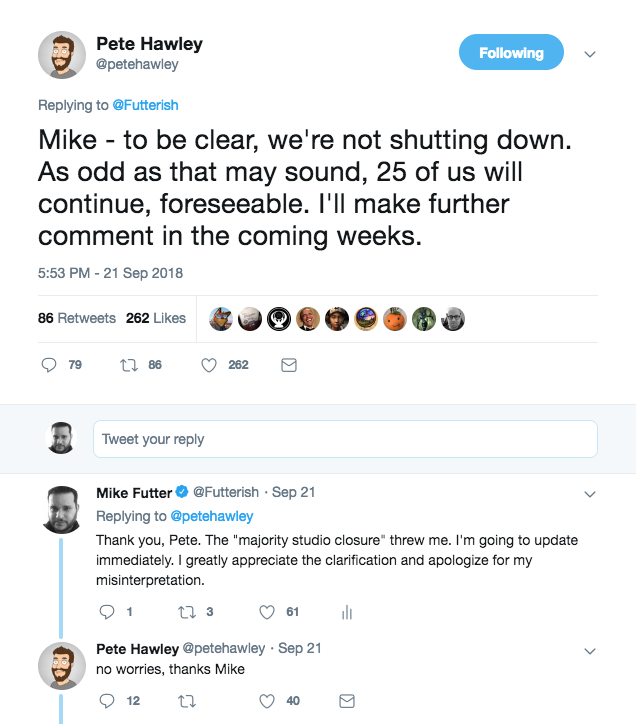 Following the mass layoffs, Telltale CEO Pete Hawley told me via Twitter that the company would carry on with 25 employees "foreseeable." With the assignment, it appears that despite Hawley's indication that Telltale would continue on with a skeleton crew, the end is rapidly approaching. Hawley's Twitter account appears to have been deleted or the named changed. Telltale become the subject of a WARN act lawsuit related to the mass layoffs. The suit was filed both at the federal level and in the state of California. As we previously reported, the California case has a better chance of success. A copy of the assignment agreement, which appears to be signed by Telltale CEO Pete Hawley, follows. It appears that Telltale is assigning all of its assets, including physical goods, trademarks, copyrights, software, and source code. The agreement may be an abridged document, as it does not detail what Telltale has received in return for the assignment. No specific amounts have been detailed. A more complete agreement may exist out of the public view. "You wouldn’t assign everything you own to someone else, unless you were getting something for it," Huffman says. Alternatively, the assignee, Telltale, LLC, might not be due any consideration. "Telltale LLC is probably just a shell company that will hold the assets for purposes of selling them off. the liquidation company may even be the owner of that LLC," Huffman suggests. "It's also possible that the company will go bankrupt and that they're only remaining income for their creditors will be whatever the liquidation company pays them under any other arrangement they might have." It also seems that some of Telltale's back catalog are being removed from Steam. Game of Thrones, The Walking Dead, and many others are still live. However Back to the Future, Jurassic Park, and Tales of Monkey Island are currently unavailable. Telltale struck a deal with Skybound, co-founded byThe Walking Dead co-creator Robert Kirkman, to finish the final season of the episodic series. 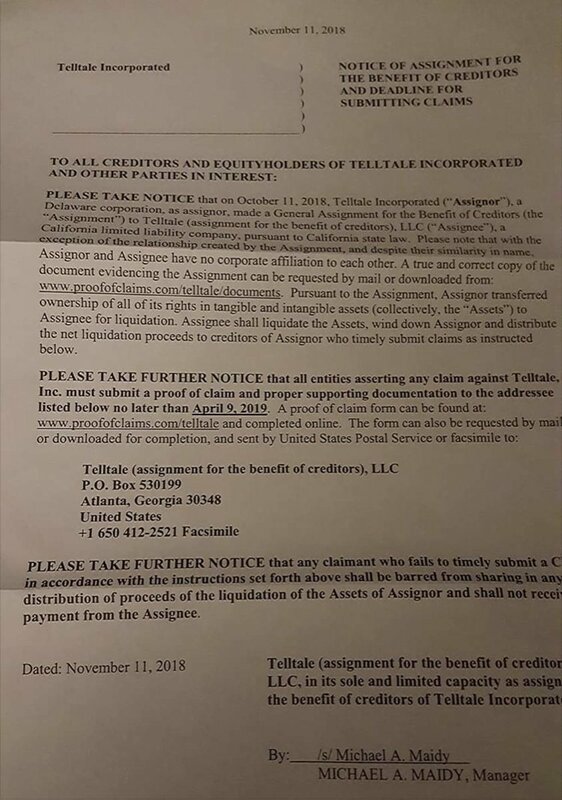 According to a letter dated November 11, 2018, that was sent to creditors and shareholders, anyone with a claim against Telltale's assets has until April 9, 2019 to submit proof. Additionally, the letter indicates that the assignment agreement began a month prior, on October 11, 2018. The 30-day period between these two events is standard per California Civil Code of Procedure 1802. GameDaily has reached out to Telltale for comment. The company did not respond by publication.